Ross 780 comfortable, trailable family cruiser, racer in good condition. Road registered trailer, enclosed head, electric refrigeration and solar incl. Brand new carbon rudder and fractional spinnaker. 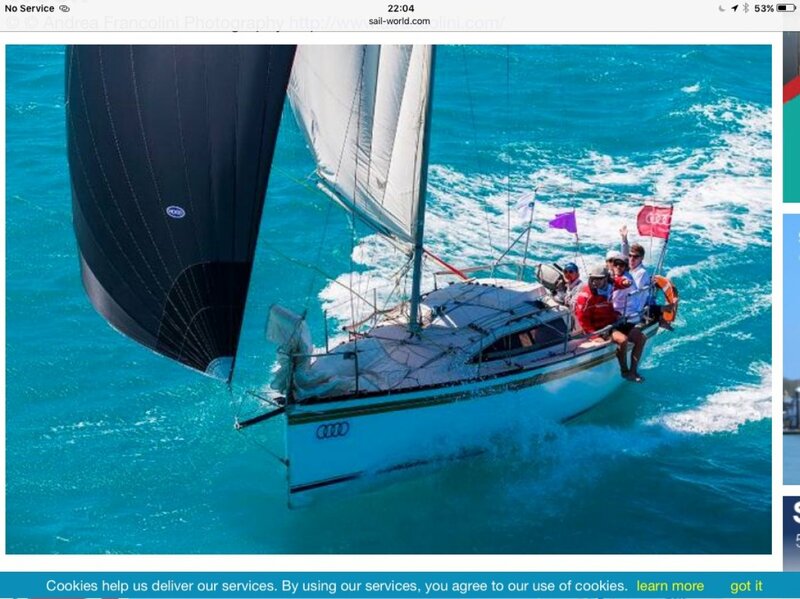 Has performed well at Hamilton Island race week and twilights regularly beats the clubman 8's. Adapts well to family holidays and won't disappoint. New boom tent fitted February. 2 mains - 1 carbon near new, 1 Dacron. 4 headsails- near new no. 2. Good no one, good no 3 on a self tracker cruising no 3 and storm jib. 5 spinnakers- 2 masthead, fractional aso new, fractional symetric new incl. Alumininium mast 3/4 re- rigged 2016. Tandem axel galvanised trailer. Electric winch. Two spinnaker pole lift for raising and lowering of mast off the electric which. Carbon rudder with carbon tiller new August 2017. And new slide rudder in June 2017 for cruising. Can help with the trip south in devler it Brisbane? Would consider trade on a bigger boat of the right up grade.